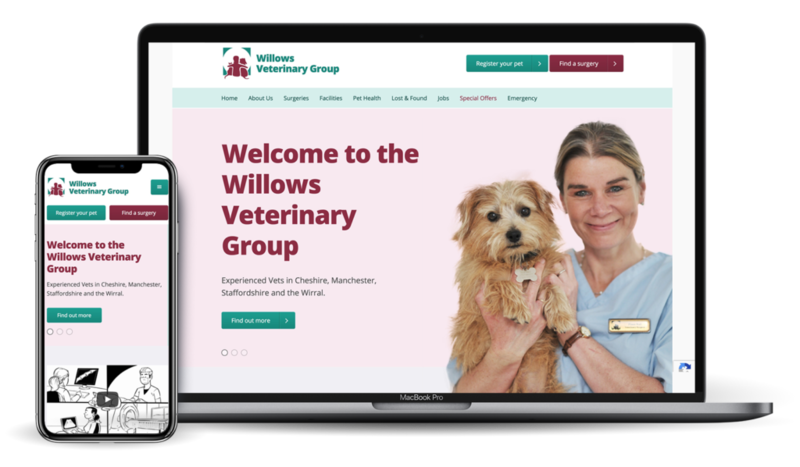 Willows Veterinary Group comprises 25 practices across central and Northern England, looking after pets, farm animals and horses. Given the vast number of offices within the group, finding a solution for managing individual websites was becoming more difficult. We developed a consistent platform for each individual practice to showcase their services while maintaining a consistent quality brand. The main vet group website acts as a directory to lead into local branches, with a customised Google Map and practice information for each. Implementing a user area for pet owners to upload important information about their pets in case of an emergency, helps the vets to provide a more tailored and quicker treatment. The launch was carried out in four stages in order to provide better support for each branch and fix any teething problems along the way.